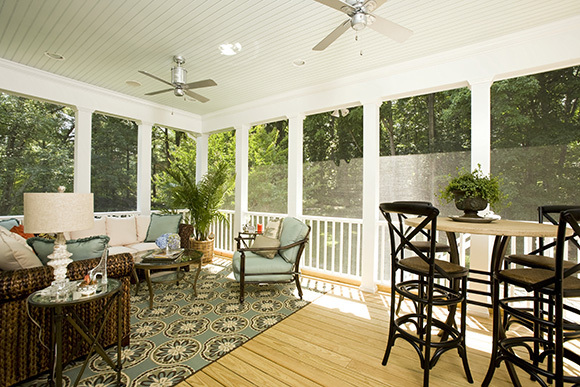 There’s something gracious about a big airy porch. It’s a place to lounge, read a good book, have a family meal, or entertain guests. The appeal of this particular space is that there are both covered and uncovered areas – sunlight and shade. 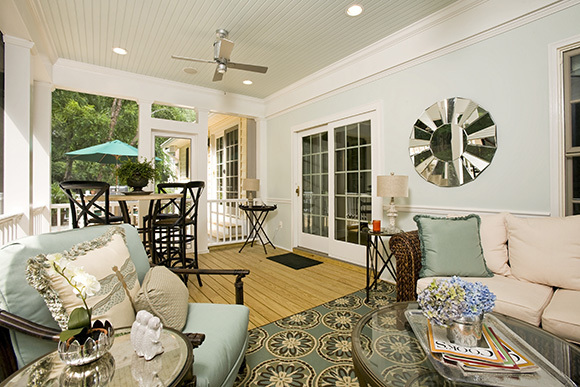 Ceiling fans push the summer breezes across the porch. 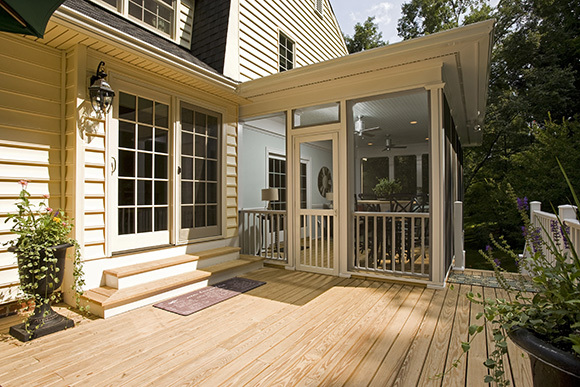 Add a beautiful porch to your home and bring the outdoors in.